Middle-class Malaysians may end up needing government subsidies for housing if current property prices continue to increase, a report by the Khazanah Research Institute (KRI) said, calling for immediate intervention by all stakeholders to transform the housing sector in Malaysia. KRI research director Dr Suraya Ismail said the median price range for housing was “skewered” towards the smaller portion of Malaysia’s population, or those in the higher-income bracket. If this continued, social housing benefits would need to be applied to households earning up to RM10,000 a month, which fall in the middle-class category. This means not only the bottom 40% of households, but also the middle 40% of the Malaysian population, would need subsidies for affordable housing if current prices prevail. The government has undertaken initiatives such as 1Malaysia People’s Housing Programme (PR1MA), as well as loans, to increase home affordability in an increasingly congested property market. In Kuala Lumpur especially, no new projects below RM500,000 were launched last year, despite the maximum house price median of RM274,000 per unit. This price is based on the median income of the city’s residents, Suraya said yesterday at the launch of KRI’s latest research report, “Making Housing Affordable”. Suraya and KRI’s managing director Datuk Charon Mokhzani said urgent intervention is needed to rectify the situation. He urged the government to move away from relying on social housing or the provision of homes by the state, to creating an environment where housing prices are affordable for everyone. Charon said giving more loans will not help solve housing woes, as it would only result in people getting mired in more debt. Instead, the industry itself can ensure effective and productive demand for housing without compromising on profits, KRI’s report said. According to the, although construction costs have been going down, this has been reflected in house prices which kept rising exponentially last year. Charon said the perception that land prices are going up and in turn pushing housing prices upwards was also untrue. “What happens is developers who intend to sell the properties at a certain price and value are capable of bidding higher for land and that’s when land prices become high,” he said. KRI, in its report, cited a positive case study from the Philippines, where a company called 8990 Holdings recorded a profit of US$76 million (RM315 million) in 2013 despite only building low-cost houses catering to the lower income category. In fact, half of its buyers had been those earning RM2,000 and below in the Philippines. This was made possible with an innovative construction process using a technology called pre-cast, allowing the company to complete townhouses and single attached units within eight to 10 days. But such efficacy requires everyone involved in the construction process – from designers, contractors, to developers – to work hand in hand to ensure effective production, KRI said. “The innovation needs to start with developers asking for this to happen, to allow them to have a more productive delivery system,” Suraya said, citing the Industrialised Building System (IBS), which has been long mooted but yet to be implemented in Malaysia. 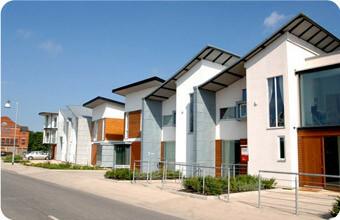 IBS involves the use of prefabricated components that can be installed on site. Although many developed countries resorted to social housing to ensure a roof over everyone’s heads, the report noted that not all households received a home due to population growth. “It makes more economic sense to ensure that the purchase of a home is financially viable to the general public than it does to rely on existing models on provision of social housing,” the report said. The institute suggested new production methods employed by developers by being more innovative, and also asked that a moratorium be imposed on house prices under a new scheme until a new stock of affordable houses is made available. It also called for a national data repository to properly plan for areas in need of housing and the amenities surrounding them. – August 25, 2015.